Nikon today introduced the latest generation of its robust image processing and editing software, Capture NX 2, which provides photography enthusiasts with a suite of powerful tools and a simple, visual operation to streamline photo editing. Capture NX 2 utilizes revolutionary U Point technology to give photographers access to powerful Control Points that enhance color, exposure, and other image quality settings quickly and easily. New technologies abound in Capture NX 2, including the innovative new Selection Control Point that places a commanding suite of image editing tools at the user’s fingertips to simplify and accelerate the image editing experience. In addition, Capture NX 2 adds an advanced Auto Retouch Brush for seamless retouching, an improved yet simple user interface, updated menus, browser functionality and an increase in performance. Whether you choose JPEG, TIFF or RAW (NEF) files, Capture NX 2 is the perfect complement to the growing Nikon Digital System. It also offers advanced RAW (NEF) processing capabilities, simplified image-browsing, selection and labeling as well as improved batch-processing capabilities, superior color management and comprehensive system compatibility with Nikon’s EXPEED image processing concept. While providing incomparable editing options for Nikon’s Electronic Format RAW (NEF) files, Capture NX 2 enables simplified editing and processing for most JPEG and TIFF files regardless of camera manufacturer or model. Its broad range of editing tools makes image retouching, enhancing and editing simple and intuitive, allowing users to immediately see the effects as they are applied. Whether a professional photographer, enthusiast or casual shutterbug, many will find Capture NX 2 to be a great stand-alone photo editing solution, while others will discover that Capture NX 2 is a remarkably effective addition to their existing photographic workflow. - Selection Control Points: Now users can selectively edit photographs without the need to manually outline or mask the area for editing. Simply place a Selection Control Point anywhere on the photograph then choose from almost any adjustment such as D-Lighting, Unsharp Mask or noise reduction, while limiting the “reach” of that adjustment to just the selected area. - Auto Retouch Brush: Capture NX 2 adds an automatic retouch tool to its image editing toolbox, allowing users to seamlessly remove blemishes, dust, and other distracting elements from photographs while maintaining the integrity of the image. - Shadow/Highlight Adjustment: With just a simple slider adjustment, users can easily open up shadows or recover blown out highlights. - Redesigned GUI with Customizable Workspaces: As part of an interface redesign, the new Capture NX 2 includes a Workspace feature that maximizes the tool and palette layout for the task at hand. Users can create unique custom workspaces ideal for working with single or multiple monitors. All palettes and windows within can be docked or undocked or hidden as needed. Predefined workspaces include: Browser, Metadata, Edit, or an optimized combination of each. In addition, users can access their most used folders with the new “Favorite Folder” feature. 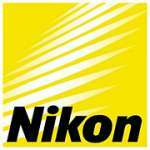 - Improved Edit List: Nikon’s Capture NX 2 also incorporates an improved edit list that allows users to apply common enhancements to images with ease. Common tools like tone curves, exposure compensation, contrast, and highlight and shadow protection are just a click away via the Quick Fix menu. The improved edit list allows for camera and lens corrections like color moiré reduction, dust off, auto color aberration, auto red-eye correction, vignette control and fisheye lens correction. - Simultaneous Use of Tools: Users can now complete image editing faster than ever before with the use of simultaneous tools. For example, users can adjust the brightness and contrast of an image while boosting the color of the image at the same time. - Filters, Ratings and Sorting Toolbar: Capture NX 2 offers an advanced filtering system in its tool bar, affording users an efficient way to filter through hundreds of images by user-defined labels, ratings, file types and file attributes. What’s more, these new filters, ratings and sorting tools are integrated into the metadata palette, allowing users the ability to easily edit and view XMP/IPTC information. Nikon’s new Capture NX 2 software represents the core of Nikon’s integrated digital imaging systems, including cameras, lenses, software, speedlights and accessories, and allows photographers of all skill levels to experience the highest performance their Nikon equipment has to offer. Capture NX 2 will be available for purchase throughout the United States in late June 2008 with a manufacturer’s suggested retail price of $179.95 (full version) or $109.95 (upgrade). A 60-day free trial version will be available today for users who wish to experience all that Capture NX 2 offers. For more information, and to download the 60-day trial version please visit www.nikonusa.com.